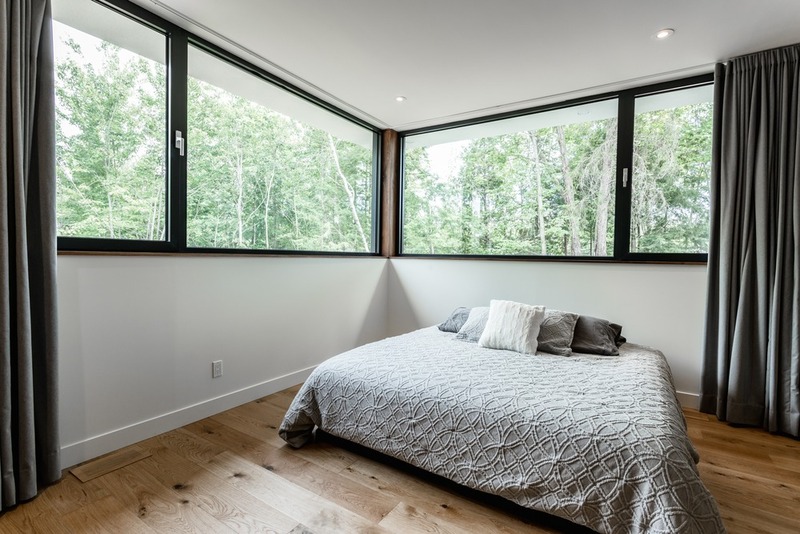 The judicious arrangement of rooms and the importance of natural light are the main ingredients of the design of this residence. 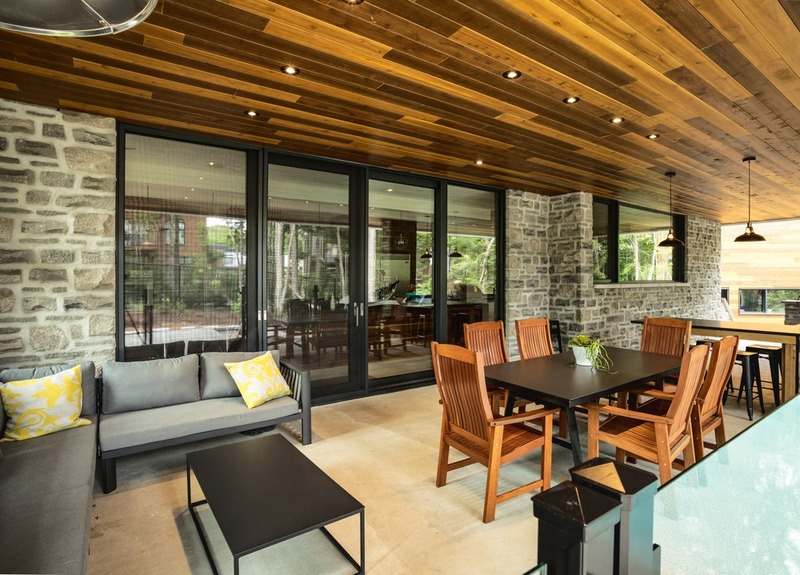 The house as a whole has been designed to provide a warm and friendly environment for the small family. 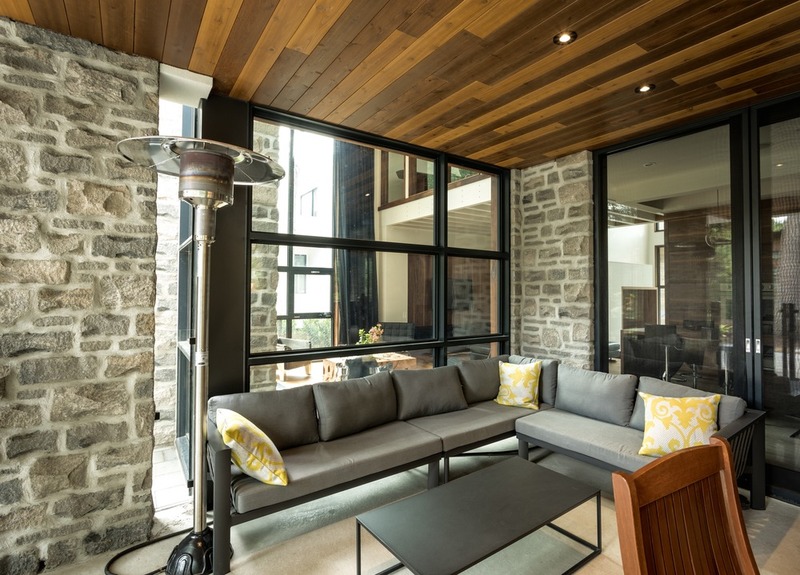 With the expertise of Fabelta, which works in partnership with the design and architecture industry, this modern building is equipped with glazing whose insulation surpasses energy standards. 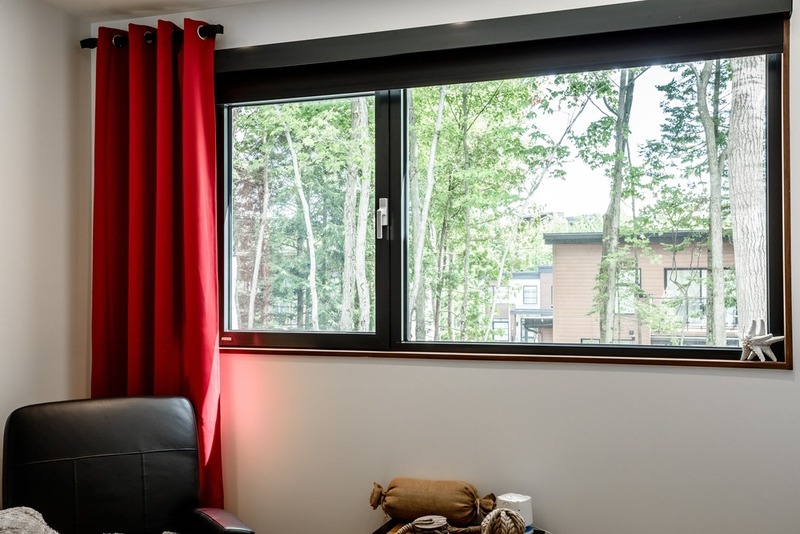 This essential feature of the building fenestration ensures the comfort of the occupants and optimizes the contribution of energy gain throughout the year. 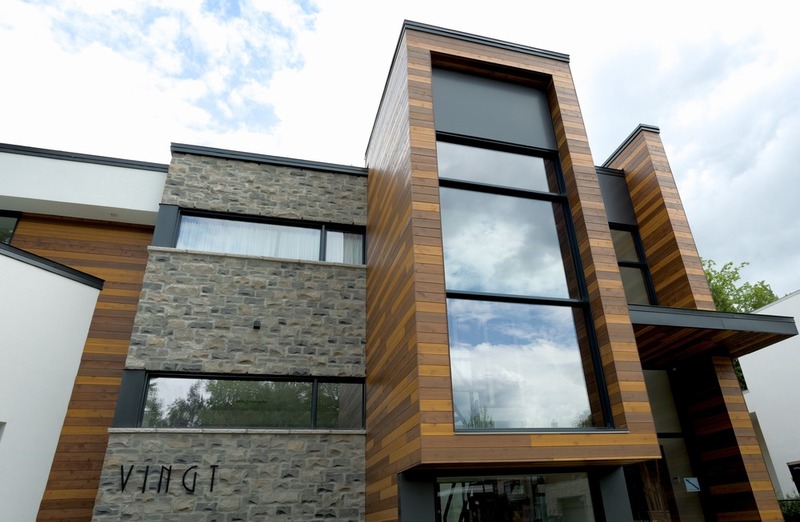 The essence of the Dion residence is obviously the use of an imposing fenestration system. 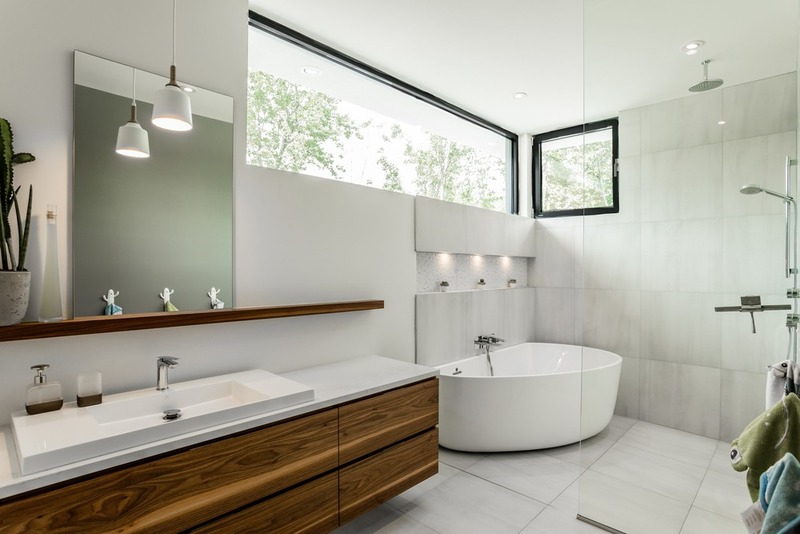 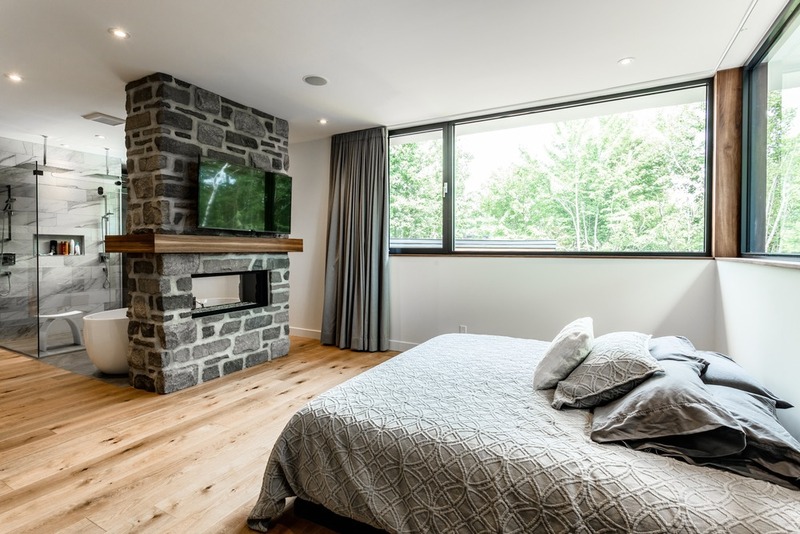 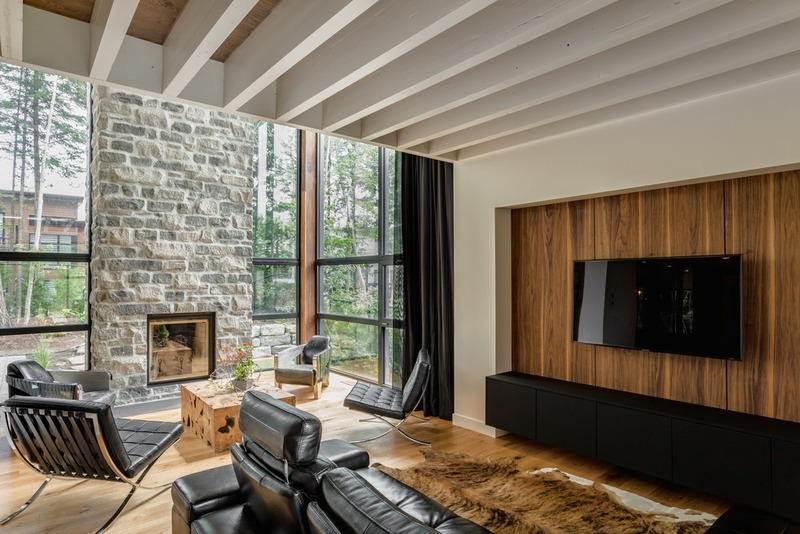 This house, located in Blainville, has stood out for its inviting and warm side that emerges from the place and the mixture of textures that offer wood and stone. 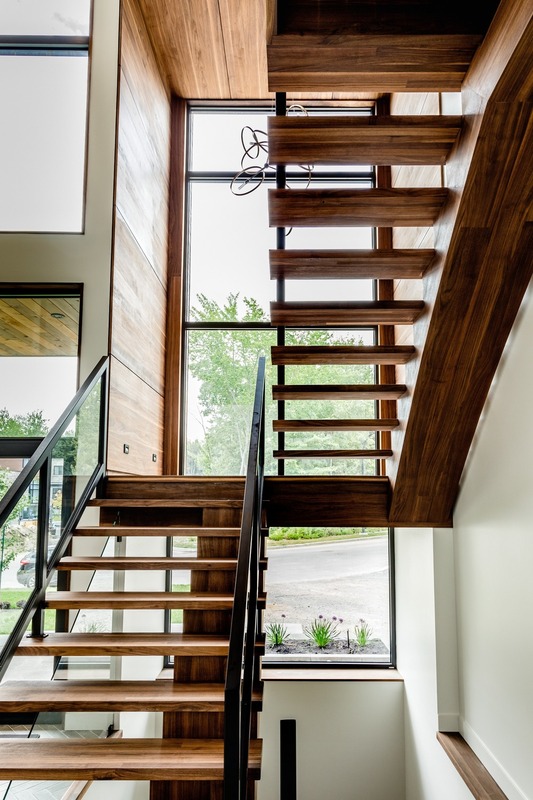 Inside, the open spaces and the abundant fenestration offer a 360 view on the ground. 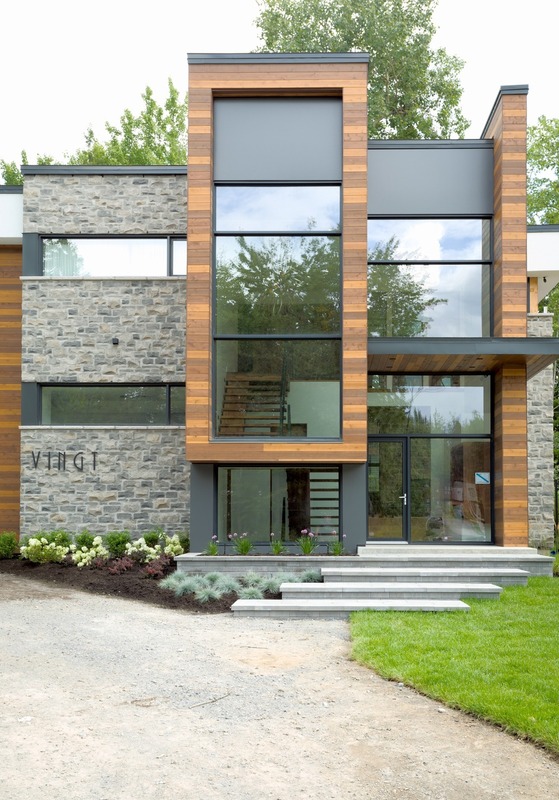 Favoring a fluid circulation, this residence was carefully thought out by the architects from Leguë Architecture Inc. 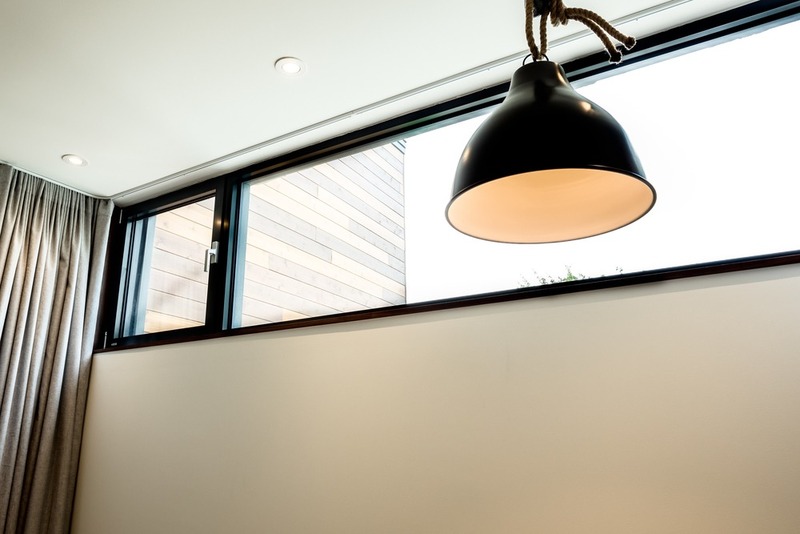 These are products of the puRE series by Fabelta that have been integrated in the realization of this house with a modern look. 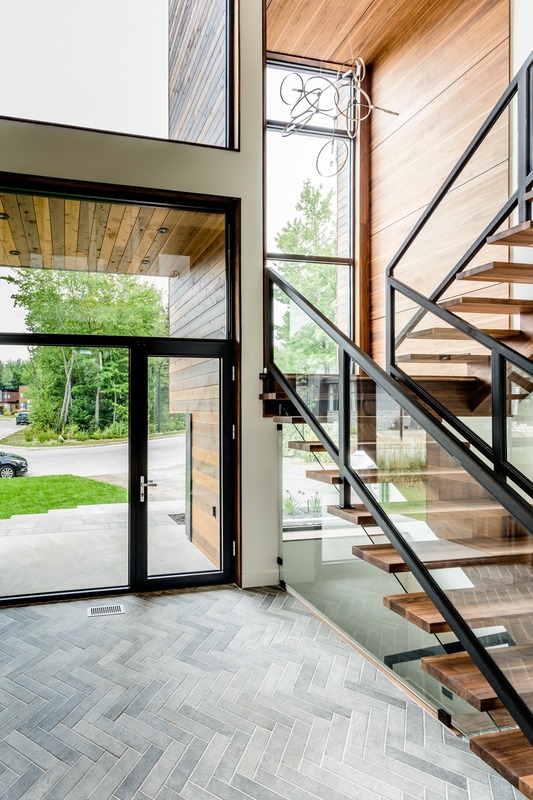 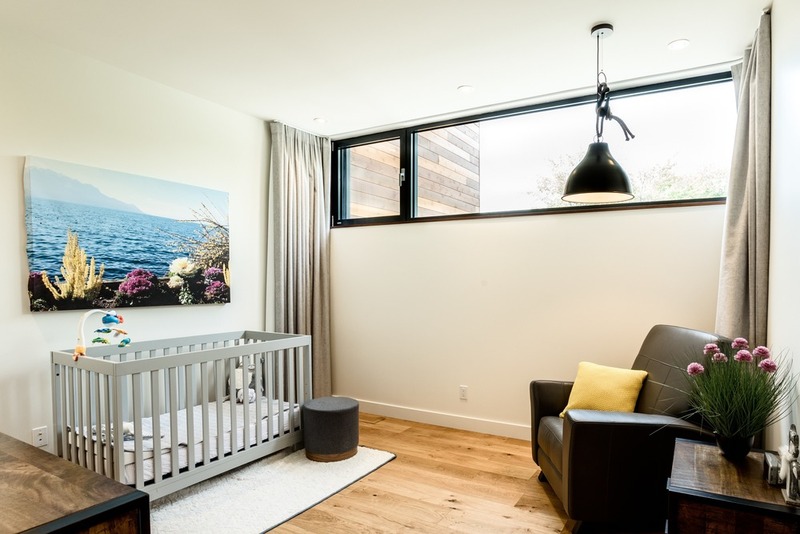 Whether for fixed windows or tilt and turn, each product has been chosen to meet the specific needs of customers and maximize the entrance of natural light. 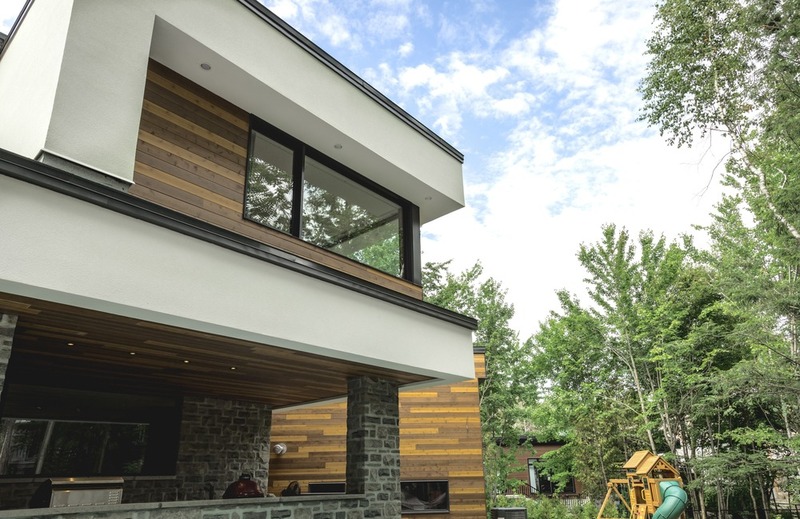 The use of Fabelta aluminum products has a sleek design of careful and bright architecture, while respecting the principles of sustainable development. 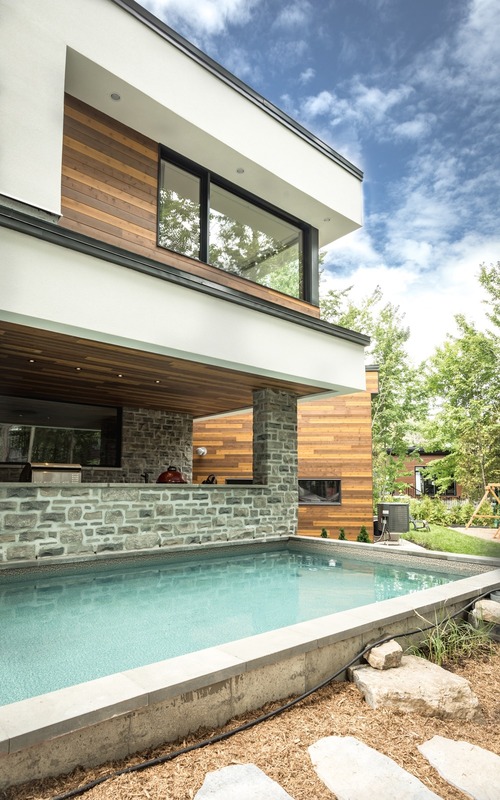 Entirely designed and manufactured in Quebec, these fenestration systems have been designed to meet new energy standards and offer impressive dimensions that respect the market trend.